jamie-slate-music bought reward: ""Earthrise" 5 song album download"
Cheraden: You guys are top notch! Marilyn: yes, Cheryl. So true. Chris: awesome playing ! WOW ! Marilyn: Such awesome talent, thanks for sharing with us tonight. JoshOftheNorth bought reward: "a download of "Maid Deep in Love" (acoustic instrumental guitar)"
Cheraden: Thank you Annie and Phil!!! spencer-jacob: I am fascinated - that was amazing! Marilyn: Have a great night, everyone! See you next time! spencer-jacob: Wonderful, stellar performance as always you two. Thank you to everyone who attended our little lineup. See you next time! Chris: thank you ! wonderful show ! you guys are just amazing and so wonderful to listen to thanks so much for playing..
Chris: good night all ! spencer-jacob: Have a great weekend! Marilyn: Thank you to all of the performers. Such a wonderful musical night! Chris: indeed awesome performers..wonderful music and sets.. Incredible! Please come back to concert window soon! As always a wonderful show, what can I say, I am a fan. Hobbyhorse! What an amazing performance! Anyone who watches your shows will be hooked for sure! At the risk of being repetitive I'll say once again when a performer/performers have a show plan, set list or just the flow of the show prepared I am hooked, and these guys are always prepared. "Earthrise" 5 song CD - signed by Hobbyhorse!! 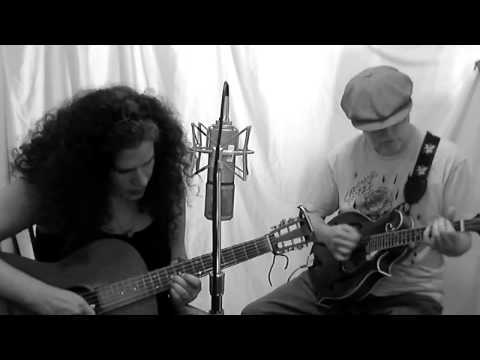 Hot Acoustic Guitar Solos- Magical Mandolin - Enchanting Vocals! 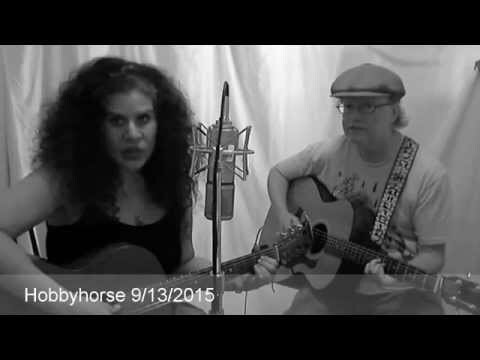 Broadcasting from the San Francisco Bay Area, Hobbyhorse plays an acoustic mix of original and Celtic folk with a psychedelic vibe, adventurous arrangements and inspired creativity.